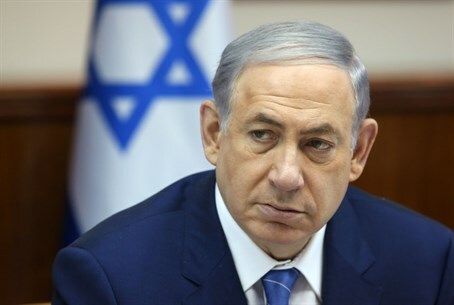 Netanyahu stresses that Israel is working to find the perpetrators of the arson attack in Duma after father of murdered infant dies. Prime Minister Binyamin Netanyahu released a statement on the death of Sa'ad Dawabshe, the father of the infant killed in the arson attack on the Palestinian Authority (PA) village of Duma, on Saturday night. "I express deep sorrow over the death of Saad Dawabshe," Netanyahu stated. "When I visited family members in hospital last week, I promised that we would use all the tools at our disposal to apprehend the murderers and deal with them to the fullest extent of the law and this is what we are doing." "At last week's Security Cabinet meeting we made decisions to assist the fight against terrorism, including in regard to administrative detentions and advancing anti-terrorism legislation," he added. "We will not countenance terrorism of any kind." Netanyahu made the statement hours after Hamas threatened open war over Sa'ad's death. "Nothing will stop these murderous settler attacks and... we cannot wait until they come into our villages and our homes," a Hamas spokesman said in a statement. "There is no alternative for our people in the West Bank [Judea and Samaria - ed.] but to launch a comprehensive war against the Occupation." Dawabshe's wife, Riham, and son, Ahmad, are both being treated in Sheba Medical Center in Tel HaShomer.